On Feb. 15 Simeon is going to turn 5! 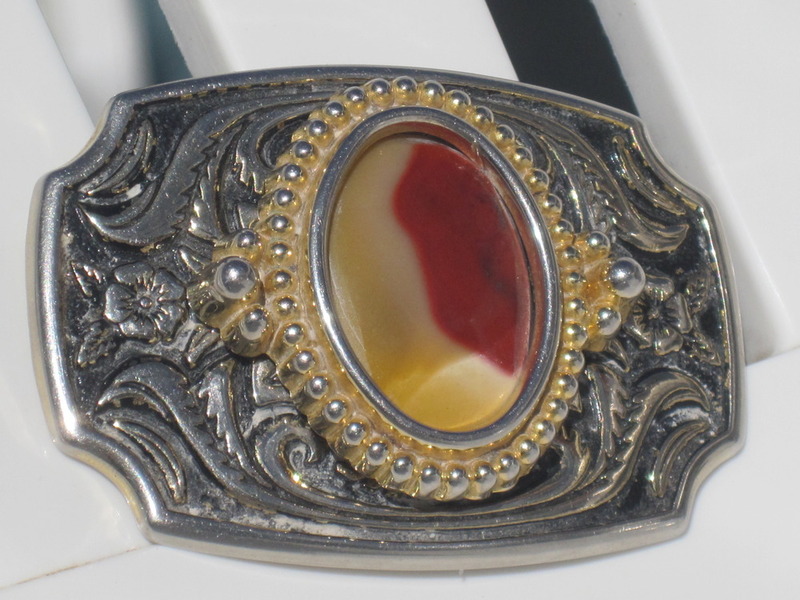 For some reason, Simeon really likes belts, so I went to Gaumers and got a yellow (Simeon’s favorite color) slab of Mookaite, worked on it at the Gem Club, and set it in a belt buckle. As you can see from the photo, it looks like beautifu a yellow crescent moon. DON’T SHOW SIMEON THIS POST ‘TILL AFTER THE 15TH! Oh, I know hardly anything about Mookaite, so please don’t ask me about it for a while. This entry was posted in Uncategorized on February 3, 2011 by Captain Belaq. So did Simeon like it?